Chicken wings are a crowd pleaser at any party and so easy to prepare. This dish is inspired by Indian cooking that often yields many different spices. Yet, to make this dish, you only need 5 different kinds of spices. 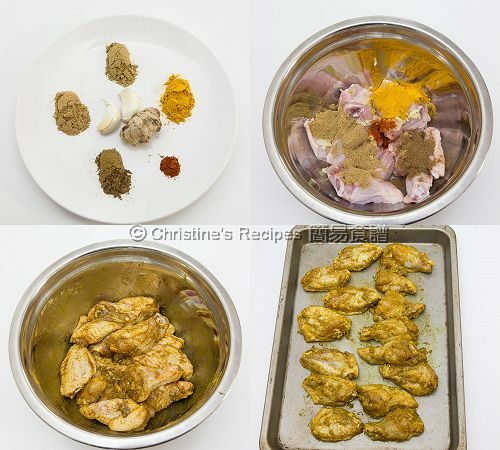 By mixing just a little bit of each one to marinate the chicken wings for several hours, the wings will turn to be very aromatic, and absorb enough healthy benefits from the spices. Rinse the chicken wings and pat dry with paper towels. Mix well with all other ingredients. Refrigerate for 2 hours or overnight. Remove the chicken wings and rest at room temperature for 20 minutes. Arrange them on a greased baking tray. Bake in the preheated oven for about 20 minutes. Flip the wings to the other side after 10 minutes to get them evenly baked. Continue baking until cooked through. Serve hot. I only used wingettes, the flat middle sections, as they are meaty and tender. 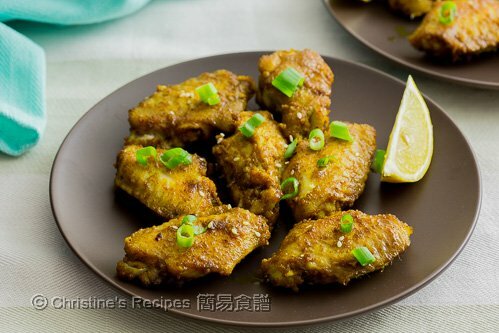 Yet the whole wings are also good for making this dish. 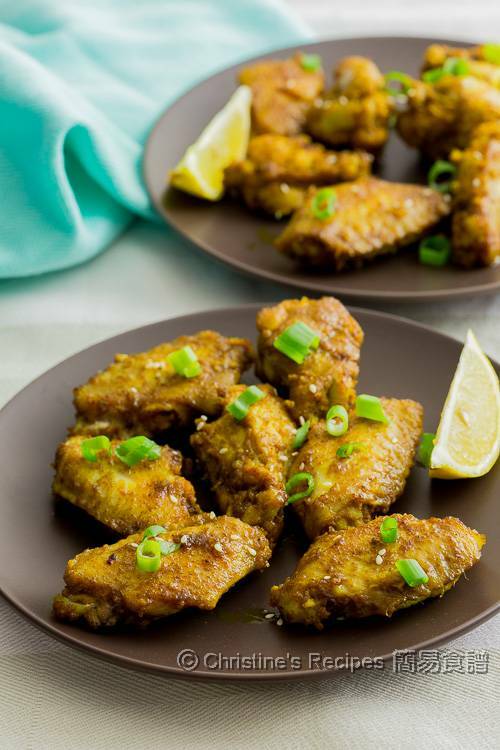 I love all the spices that you used in this baked wings recipe. They must be very flavourful. Will definitely try this, I like no sugar recipes. Good! Hope you like it as much as we do.